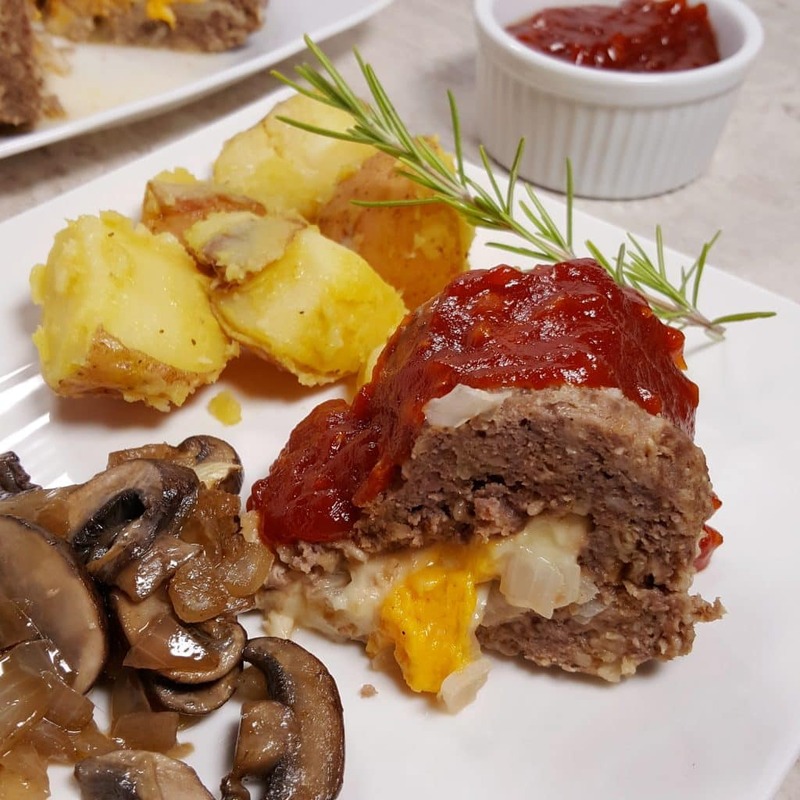 Oozing Cheese and Onions and a Rich Barbecue Sauce make this Pressure Cooker Cheeseburger Meatloaf and Rosemary Potatoes something special. 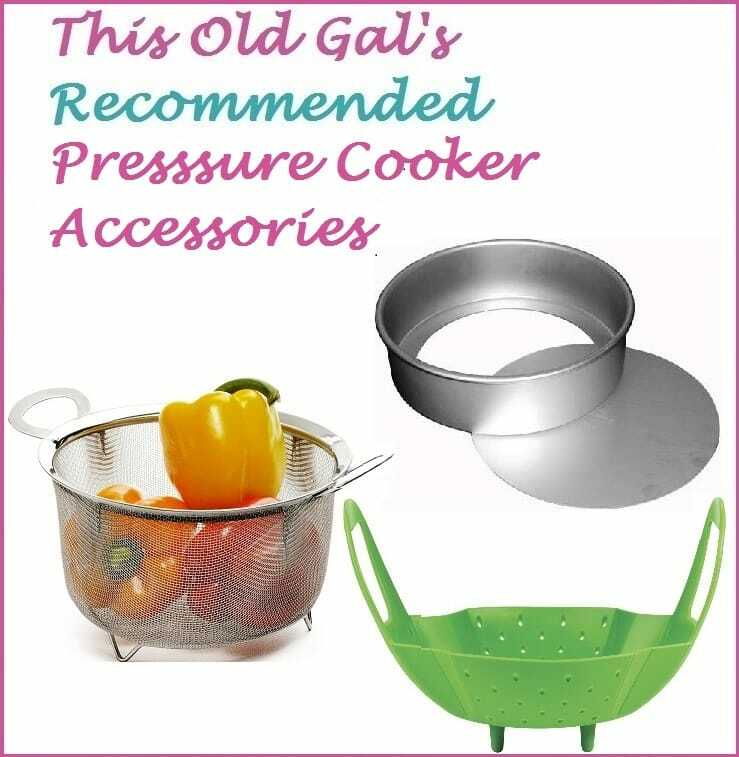 Recipe is for the Instant Pot, Mealthy, Power Pressure Cooker, GoWise and any other Pressure Cooker. 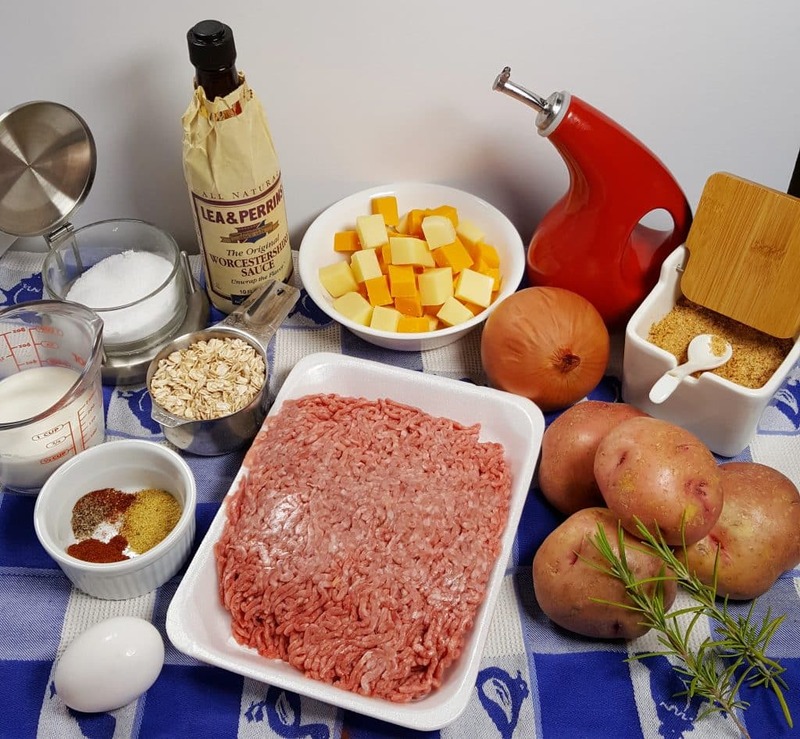 Meatloaf is always such a comforting type of meal and everyone loves a good Cheeseburger! The combination of the two together, coupled with Rosemary Potatoes, really makes a delicious and special meal. This recipe is very similar to my Hungryman (or Woman) Barbecue Meatballs, which is an incredibly delicious recipe. If you love meatballs, make sure to check out the recipe. 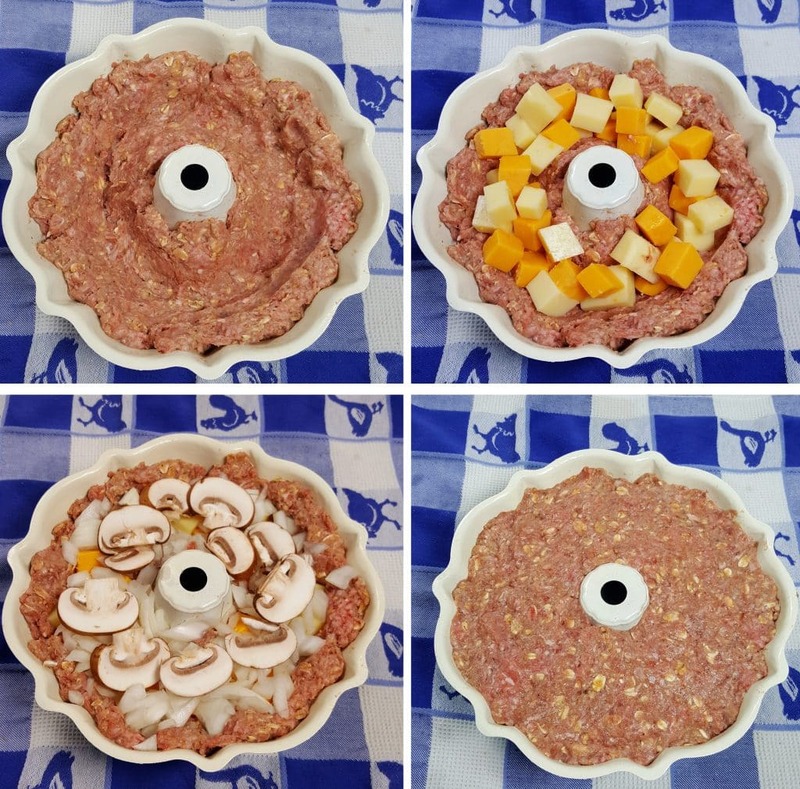 In a Medium Mixing Bowl, start to prepare the Meatloaf Mixture. The Evaporated Milk and Old Fashion Rolled Oats, aid in keeping the Meatloaf nicely moist and gives it a wonderful mouth feel. If you would like to use Turkey, Venison, Bison, or another type of ground meat, it’s fine to substitute. The Turkey will be wetter, so use a little less of the Evaporated Milk. 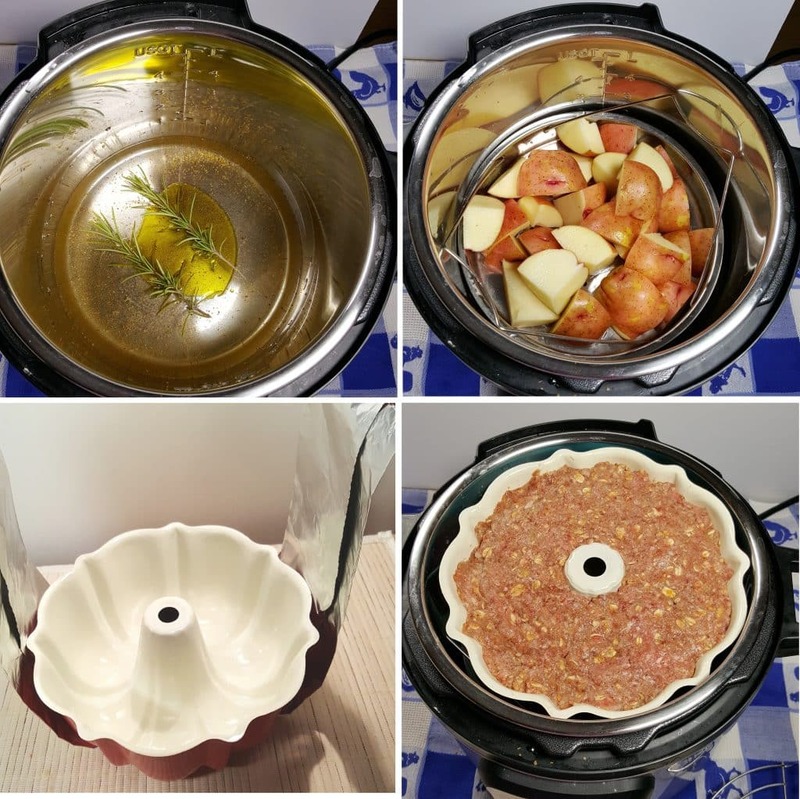 If you already love my Pressure Cooker Turkey Meatloaf, try using that recipe in this recipe. Make sure you dice up the onions into small pieces, to ensure that they cook, while buried in the Meat Mixture. If you prefer them mix them in with the Meat Mixture itself, it’s not a problem. Make a well in the Bundt Pan and stuff it full of Cheese and Onions and any other Cheeseburger topping you like. Seal up the well, so that nothing leaks out. When you cut into the Pressure Cooker Cheeseburger Meatloaf and Rosemary Potatoes, the Cheese and Onions will gush out! Most people love Mashed Potatoes with Meatloaf. This recipe is a Cheeseburger Meatloaf, so I thought Rosemary Potatoes would be a nice change. You’ll add minimal water to the Pressure Cooker cooking pot, some oil and Fresh Rosemary. Use a Veggie Steamer and then place the Bundt Pan of Meatloaf on top. When the Pressure Cooker Cheeseburger Meatloaf with Rosemary Potatoes is cooked, you’ll dump the Potato Wedges into the Pot and Pan Fry/Sauté them. Alternatively, if you want Mashed Potatoes instead, don’t add oil and just make traditional Pressure Cooker Mashed Potatoes instead. 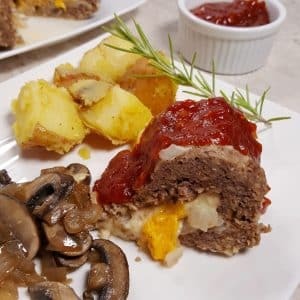 While the Pressure Cooker Cheeseburger Meatloaf and Rosemary Potatoes are cooking, gather your ingredients for the Barbecue Sauce. 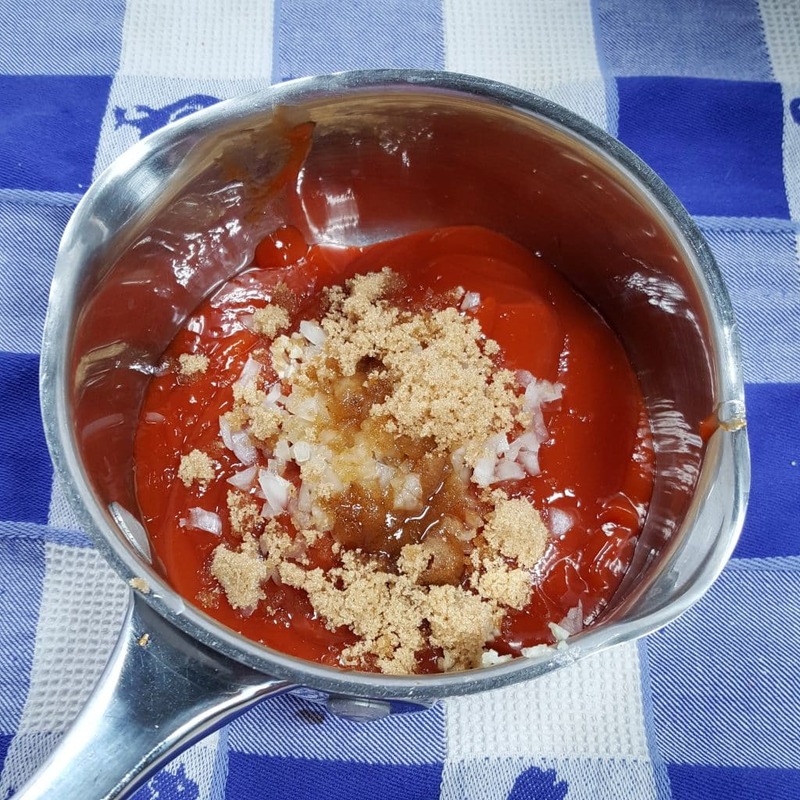 Simmer the BBQ Sauce in a Small Saucepan until you are ready to eat and then pour it over your Cheeseburger Meatloaf. 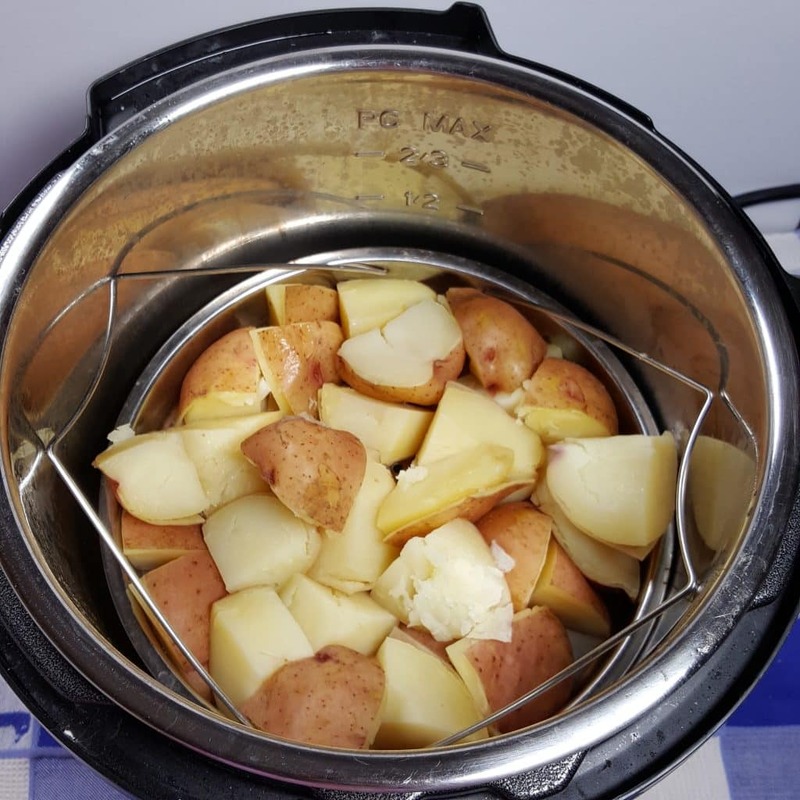 If you have chosen to make Mashed Potatoes, rather than “Roasted” Potatoes, after the cook time, dump out the water and return the potatoes to the pot. Mash and add the Butter, Milk and Salt. Otherwise dump the Potatoes into the cooking pot and Sauté them they start to brown. Add some Sautéed Mushrooms and Onions on the side. Don’t forget to add a splash of Sherry. 🙂 Enjoy! 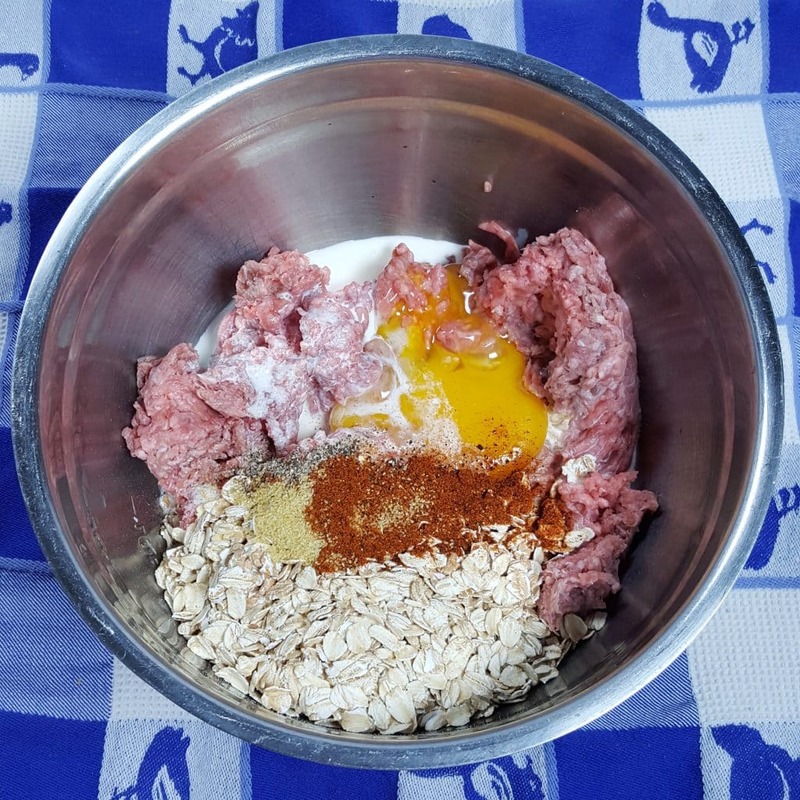 Mix together Beef, Oatmeal, Egg, Evaporated Milk, Worcestershire Sauce, Salt, Garlic Power, Pepper, Chili Powder. Press 3/4 of the Mixture into Bundt Pan, making a well in the middle. Stuff with Cheese and Onions. Cover with remaining Meatloaf Mixture and gently press to seal. Add Olive Oil, Fresh Rosemary, Garlic, Salt and Water to Pressure Cooker cooking pot. Place a Steaming Tray with Potato Wedges into cooking pot. Place Bundt Pan on top. Lock on Lid and close Pressure Valve. Cook at High Pressure for 15 minutes. When Beep sounds, carefully, release the Pressure and remove the Lid. Remove Meatloaf and cover to keep warm. Select Sauté/Browning on Pressure Cooker. Dump Potatoes into cooking pot and allow to brown, while liquid evaporates. 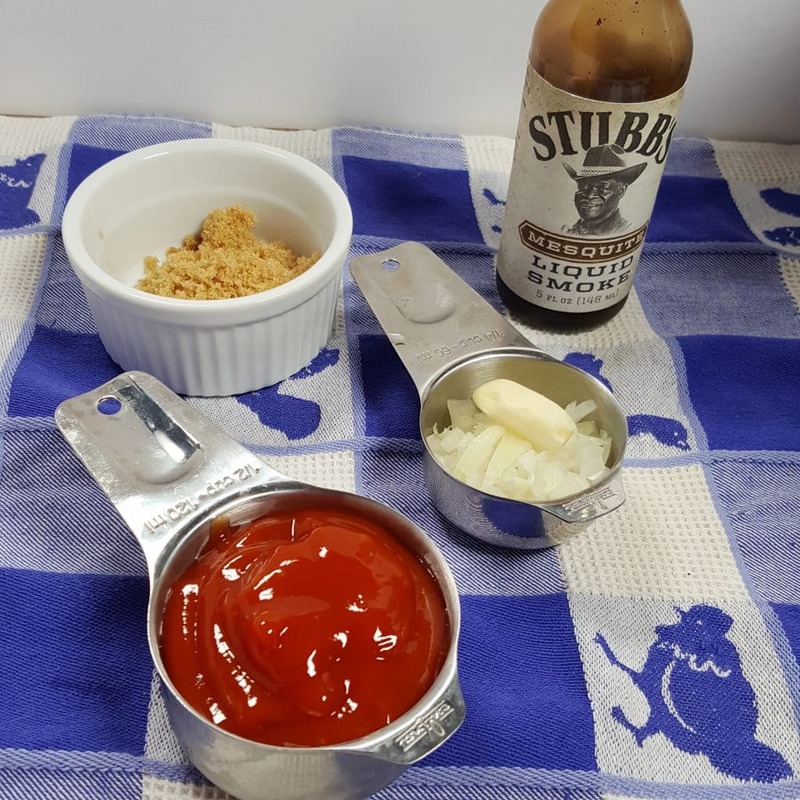 Sprinkle with Seasoned Salt and serve with Cheeseburger Meatloaf. While Meatlof is cooking, combine all BBQ Sauce ingredients in a saucepan over medium low heat and simmer, stirring occasionally until Meatloaf and Potatoes are ready to serve. 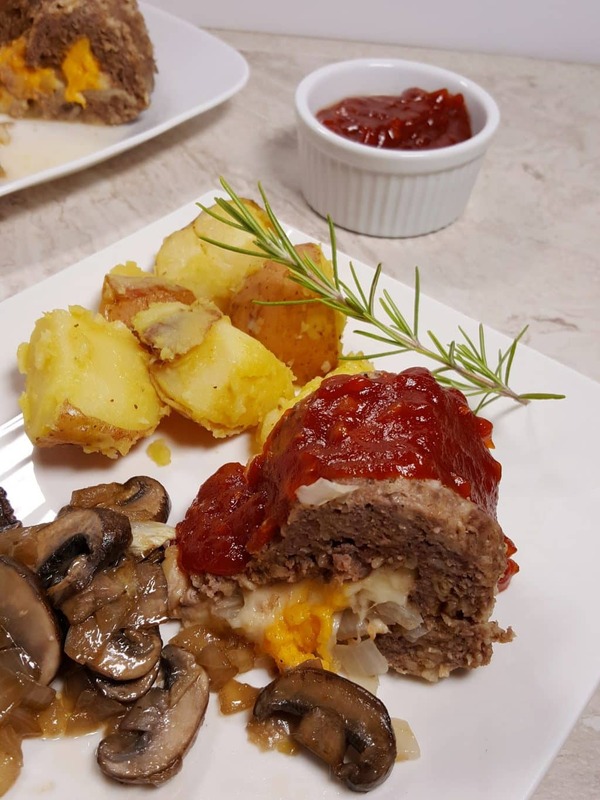 PIN this Pressure Cooker Cheeseburger Meatloaf and Rosemary Potatoes! This looks so good! I’m def going to make it. Thanks Jill!! Hi was the “added sherry” to be added to the potatoes— or to drink? My husband has been wanting some meatloaf, so I will definitely give this a try. Can I use a silicon bundt pan in my InstantPot? My bunt cake pan will not fit in the pot and allow it to seal. I have an 8-quart IP. Made this tonight and it was even better than it looked!! Thank you! Just to be 100% sure… This is quick release right? Thanks! I made this for our dinner tonight, with mashed potatoes,not rosemary, and instead of the sauce, I made a mushroom gravy to accompany it. Although the texture of the meatloaf was a little different, my hubby and I both agreed that it was actually an improvement over oven-baked, nice and moist and evenly cooked. This is my new meatloaf recipe. Thanks, Jill!